I'm unsure as to wether I'm posting this in the correct place so apologies if not. Ok. . I'm new to having fish. I bought a tank from the LFS (took a while for me to figure out what LFS was lol) and, you guessed it... Ended up with fish a few days later, as advised. Now, having read through the forums a little I realise that I should have read about keeping fish before buying them and not afterwards. 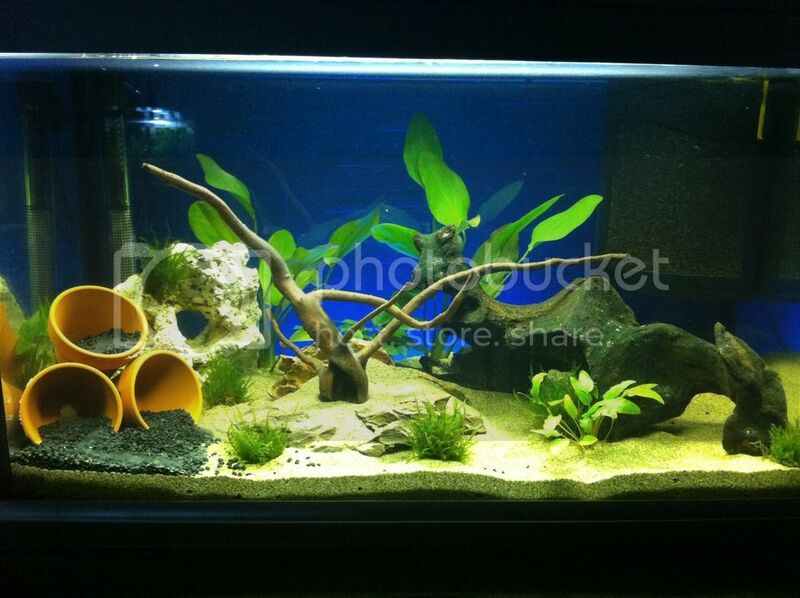 Seems its not quite as simple as getting a tank and putting dechlorinated water, bio enhancer and fish in. More fool me for thinking keeping fish was simple! So. The tank is 25L, planted and has 6 endler guppies in there. It's a nexus 25 pure if that means anything. The fish seem fine, no fatalities as of yet and the tank has been set up for about 2 and a half weeks. The only reason I'm here is because whilst reading up on the Internet on how to keep shrimp I came across all of this "cycling" stuff and here I am. - The LFS also said I could keep shrimp after a "couple of weeks"- I now know that that's really not the case. So!! I bought a new, second hand tank from online which is bigger and was much cheaper. I've washed it out a ton, set it up and planted it and you'll be happy to know has 0 fish in until I figure all of this cycling stuff out properly. Both fish and non fish!! Nightmare. Ok a few of my questions!!! - I wont post all of them as i have lots and lots and lots and could read through the forums for my answers on things such as cycling, as some of you have kindly gone over this subject already... multiple time it seems-lol. I hope you'll be able to answer a few of them because I've spent a whole lot of money so far and am not willing to give up!! 1. The bigger tank is a 50L, it has a light in it that's not LED and I'm assuming LEDs are best? Though of course I have no idea really... It has a tube light in that's a "sunGlo" .... Is this light ok for my plants and any future fish I put in there? I know itll depend on the kind of plants I have etc. They're a bit of a random selection I got from the LFS labelled as "easy" (again, I know I should have researched all of this beforehand) so.. In a roundabout sort of way, is this light anywhere near suitable until I can have it upgraded? + any suggestions of what to upgrade it to? 2. I've added driftwood and other bits to the tank.. I rinsed them before putting them into the tank but didnt soak them. As i didnt know i had to. Amateur. One of the bits I put in my tank is a sort of rock but it has a kind of clay-like substance inside a few of the grooves.. i'll try and post pictures? will this have an effect on the water at all? The wood ive put in are different kinds of wood. One now has a clear, milky white film over it and I'm not sure what it is. 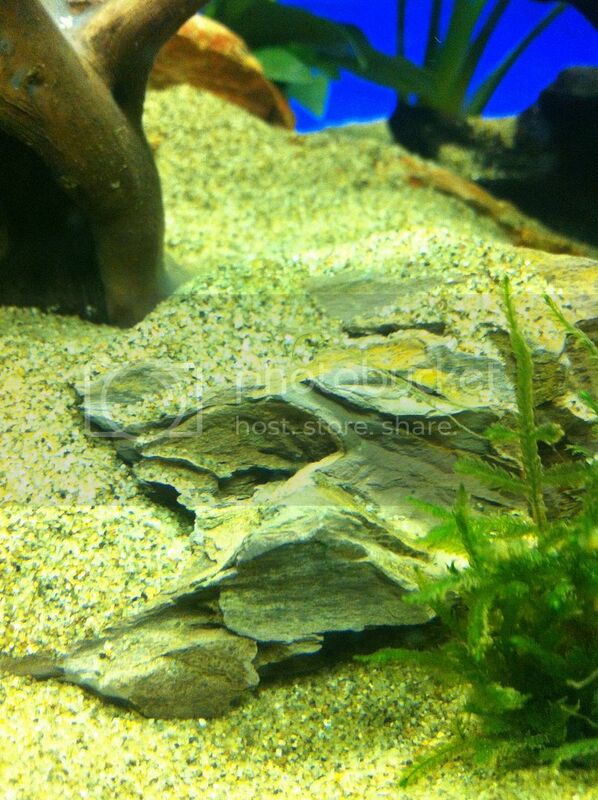 This milky white stuff is also in a couple of other areas of the tank. Biofilm or something maybe? The tanks only been set up for 3 days... The other piece of wood is bogwood or driftwood and is chunky and already has some sort of algae or moss growing on it and I'm beginning to think it may have already been used in a tank before. Erm.. Not sure what my question here is as I'm not sure what to ask for other than advice? 3. Most importantly.. The fish I already have. They're a selection of 6 beautiful endlers. Theyre all a bit different! Blonde/cobra etc and I would rather they survive this horrific ordeal and am going to be buying a liquid testing kit. There's one for like £35 and it seems they're the same price all over. Is there ANY way that I can try to ease the cycling process for them so that they don't die? Anything I can add/buy to make it easier? Tbh I can't believe I was advised to get them so soon but hey ho. Lesson learned. I now know to research research research (or at least ask advise from someone not trying to sell me something) as keeping fish is quite clearly not at all as simple as I thought. It's a familiar story Darren! They seem to only be concerned with sales! I'll have a pop at your questions and I'm sure others will too. 1. That tube will probably be ok, for now at least. What length or watts is it? You need to put it on a timer and have it on for 9 or so hours a day. 2. Yeah, post up some pics, we like pics! I would take out anything that doesn't look right as it probably isn't. Is the clay like thing a ceramic fake root? That will just need a scrub. 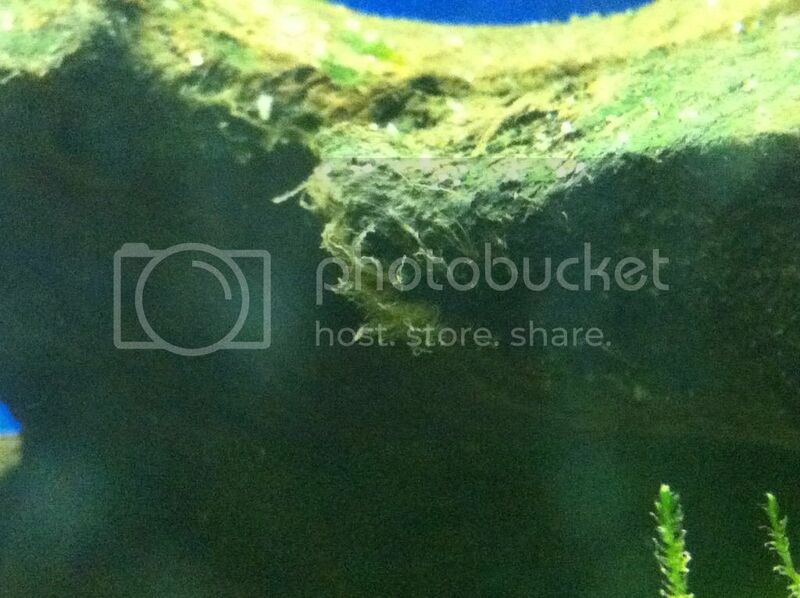 The white film doesn't sound good and the piece with algae on almost definitely have been in a tank previously. Can you get them soaking in a big plastic bucket after a good scrub with a stiff brush? Better still have you got a pot big enough to boil them in? 3. When you get your test kit (there's some on Ebay) you'll know where your tank is in the cycling process. In the mean time change about 25% of the water every couple of days but don't touch the filter so the bacteria isn't disturbed. Finding out you might harm your fish is a bit of a shock and puts some people off altogether. But judging but the fact that you have oodles of enthusiasm, I would say yours are going to be alright! Hi and welcome to the forum Darren. 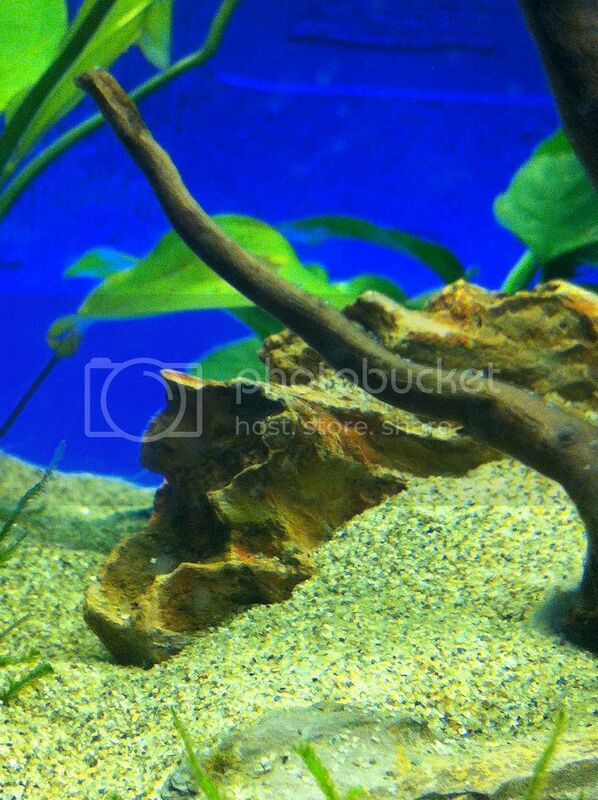 Pictures are always welcomed, we tend to like having a good old nosey at peoples tanks lol. Don't be too hard on yourself, sadly too many pet stores give really poor advice but all is not lost and we will be happy to answer any questions you have. (sorry for the delay in having your post approved, most of our mods and admin have been ill off late, usually they are approved really quickly and its only the first few posts that do need approved). In the beginners section you will also find a topic about cycling without fish if you want to have a read on that too. As for shrimp, they really should not be added to a tank less than 6 months running, they can be really delicate and need a fully cycled tank where the ammonia and nitrite are stable. Your wood sounds like it is just needing a scrub but its always better to boil it in an old pan for a couple of hours, (just keep topping it up with fresh water so it does not boil dry)then let it cool off completely and re-add it to your tank. A good fresh water test kit is the API master kit for fresh water, ebay can save you a bit on the cost of that. Your tube sounds fine although depending on the age of it, it could be needing replaced which is easily enough done. In a tank that small (sorry to say it is still a small tank) tubes cope just fine and will do everything you need them too do. Leds in my view are the way to go in fishkeeping, I was hesitant to swap from tubes to led's initially but now swear by them both in tropical and marine tanks, if you upgrade in the future that could be something for you to think about but for now honestly dont worry about it. Another tip I will throw into this post is Never rinse your filter under the tap, only ever use some tank water to clean your filter and its media or you will kill off the friendly bacteria needed to keep your tank healthy. This is the clay/rock/wood... I honestly have no idea. Maybe someone will recognise what it is? Thanks for replying btw folks. Really do appreciate it as I'm trying to take in as much as I can so that i can be good at this hobby! In future nothing is going in a tank unless I know as much as I can about it!! I have the lighting on for 10 hours a day at the minute but might cut it down to 8. Also, I've been using a liquid plant fertiliser and fluval bio enhancer so I don't know if they'd have an effect at all? I have read that LEDs are better, I currently have some non-aquatic LEDs that I already had (from ikea) behind my tank that are blue at night, though they're probably doing Absoloutely nothing hahaha. I will definitely be investing in some proper lighting as soon as I can afford! Ok. So now, the filter that was supplied with the small 25l tank I bought from the LFS (the tank with the fish in) isn't working. It's just making a loud noise. I've taken it out of the tank, taken it apart, checked for any blockage and there's nothing that's wrong with it as far as I can tell from looking. 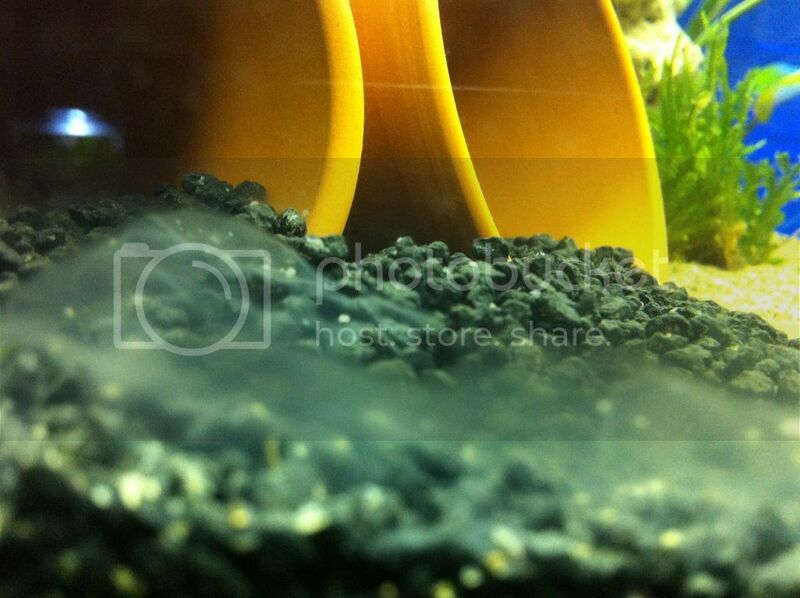 I've put it back into the tank but its just making a lot of noise and not filtering any water from what I can see. Ok. So if I take it back to the LFS it should surely be under warranty.. But. What am I supposed to do about the fish that I have in the tank? IF they replace the filter I'm going to have to start over in terms of gaining the beneficial bacteria in the new filter. At a bit of a loss here... This really is beginning to be quite a nuisance. So disappointed. Thank you for the advice Graeme. I'll phone the store in the morning, explain whats happened and then go and exchange the filter but keep the filter media. I'm sure they'll be understanding. It will be covered by a guarantee so yes insist they replace it and as Graeme said leave the media in the tank so it stays wet and just add it into the new filter when you get it.